We use the latest test equipment ensuring minimum flow rates are achieved throughout the LTHW and chilled systems. On completion of the pre-commission flush a detailed report is sent highlighting the total water consumption and water analysis which is checked hourly throughout the flushing process. We can also apply for the relevant permits required from the local water authorities. Poor performing heating systems may require a power flush; the process is very similar to pre-commission flushing. A cleaner is injected prior to the power flush commencing, this helps to break down the sludge build up in the poor performing system. Direct-Tech Solutions technicians carry out onsite inhibitor level testing for LTHW and glycol for chilled systems, this ensure the efficient running of your LTHW or chilled system. 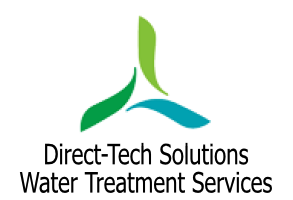 Side stream filtration systems are an increasing alternative to power flushing the complete system. The side stream filtration system is installed and left in situ for a period of around 3 months, dependent on the size and condition of the system.